So Sir Elton wants to give his photography collection to the nation ( Friday’s One show) but says we do not have a photographic museum in this country, he went on to say that he would like to display all his objects to tell his story. Well could Southend come to his rescue? We are designing and new museum, is it beyond our architects to incorporate a photographic section, might we find some room for his art collection and paraphernalia as well? 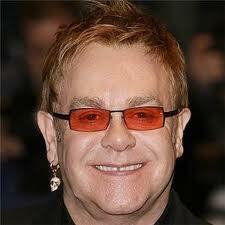 In return would Sir Elton part fund our new museum? These are questions I think worth exploring so once I have some answers I will post them and I would to know if you agree with me! This entry was posted in Uncategorized and tagged Better Southend, Conservatives, New museum in Southend, Photographic museum, Sir Elton John, southend on sea, Southend Pier, southend seafront, The One Show. Bookmark the permalink.